Join us this week as we welcome Country music singer songwriter, Stephanie Quayle. 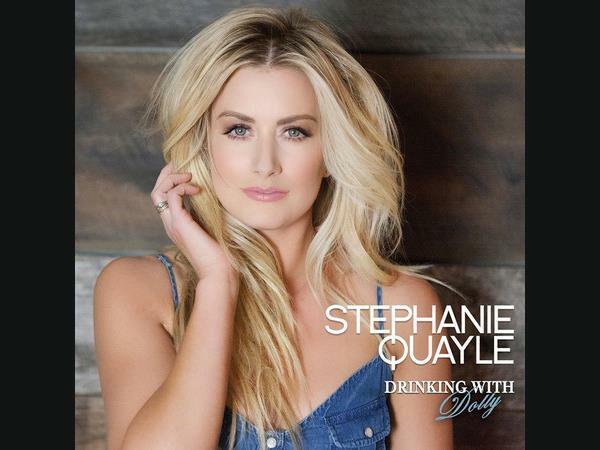 Rising country artist Stephanie Quayle continues to captivate listeners with her current single “Drinking With Dolly,” whether she is on stage in a packed venue or a small intimate setting. From the vibrant blonde’s radiating energy and booming personality to the passion and intensity delivered in her music, the magnetic singer-songwriter grabs hold of an audience and doesn’t let go as she belts out her songs from behind her guitar and piano. The song “Drinking With Dolly” is one close to Quayle’s heart. It is an anthem for all the women of country in a time when female artists are rising together to make a major impact in today’s music scene. Quayle is currently celebrating a Top 100 single on the Billboard Country Airplay chart! Quayle captures the heart of storytelling as she offers the genre a fresh sound, relatable storylines and an invigorating presence that is unmatched in today’s musical spectrum. Harnessing her signature passion and pairing it with an authentic artistry, fans can expect to hear and feel exactly what they didn’t know they were missing. Stephanie's journey as an artist has led her to this very moment in her career. She has found her voice and her sound. A perfect fit. A fit she has been piecing together all her life. We will talk to Stephanie about her upcoming schedule, get a behind the scenes look at her music, feature her latest songs, and ask her to share her message for the troops. Please be sure to visit Stephanie Quayle at http://www.stephaniequayle.com/ and spread the word. Fans are welcome to call in and speak live with Stephanie during the show (718) 766-4193. And as always we will give shout outs to our deployed military listeners. Our message to the troops: WE do what we do, because YOU do what you do.